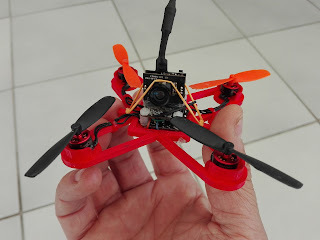 Designed a new frame to build a quadcopter with latest electronic available and my good old ZMR 250 arms. Result is a very lightweight, strong and compact racer. all electronic parts are protected with tropicalisation silicon. All this should go in water without any damage.... will post a video about this. For those interested in ultralight FPV drones , i designed a frame for pepperfish electronic design. version 1.0.10 is on the way with interesting new features. 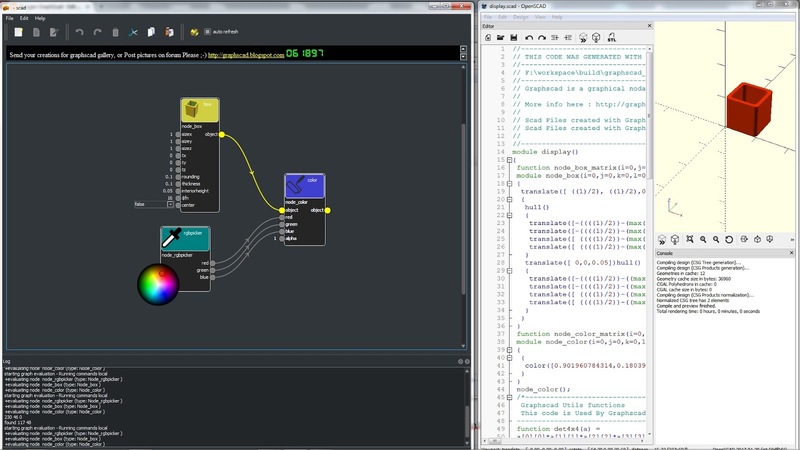 - New declaremodule node will allow module declaration and will work with callmodule. This declare module node will provide a more cleaner way to create and use module and parameters. Old default behaviour will keep working. This version provide new interesting features. 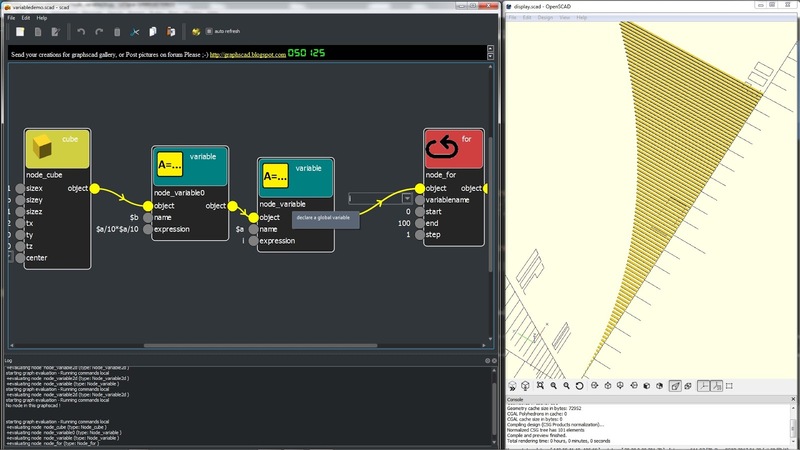 - ifassembled mode : conditionnal node based on global variable driven with a checkbox. This allow you to process or not process some nodes for openscad refresh. 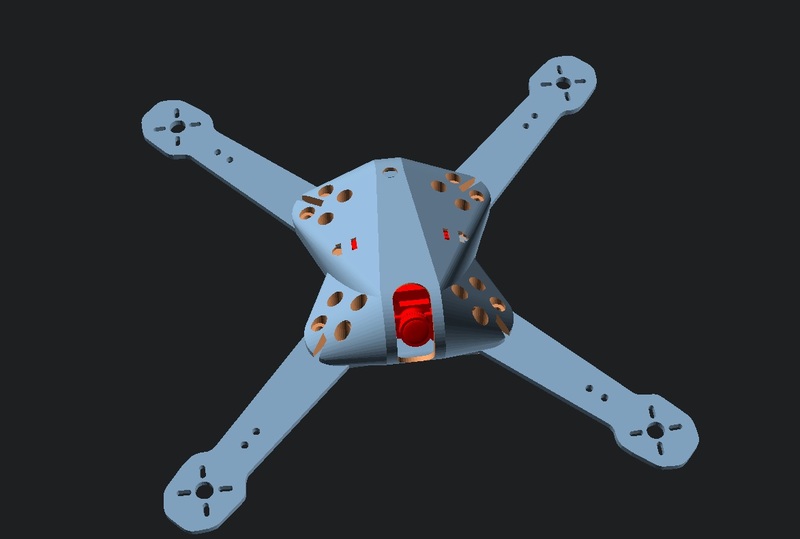 I used it to switch between a ready to print layout and an assembled preview of my drone frame. 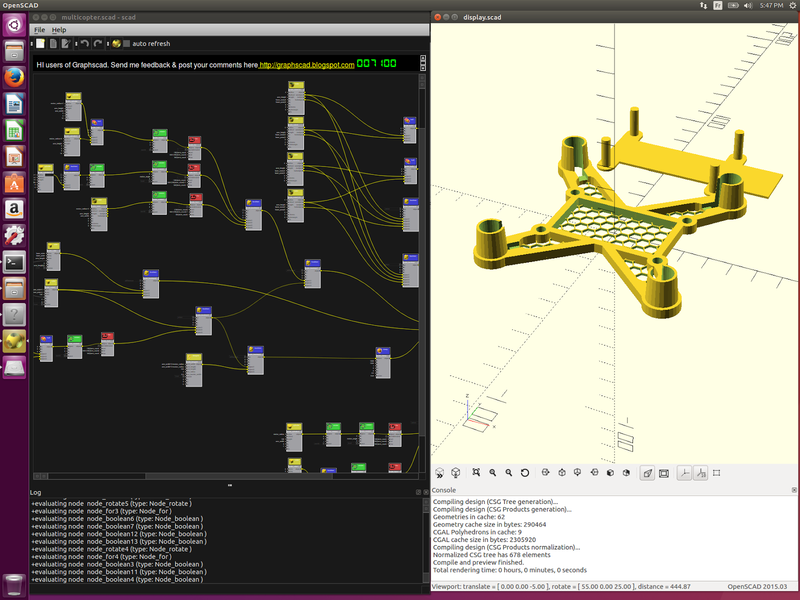 Here is the drone frame Ready to print with debug mode on. Found some free time to release a new version. Please report any bug on the forum. 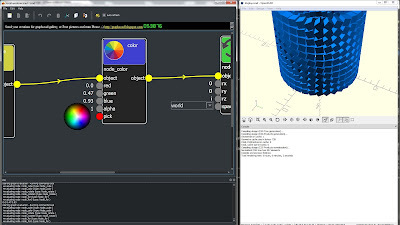 Custom node created by user. That's cool indeed. 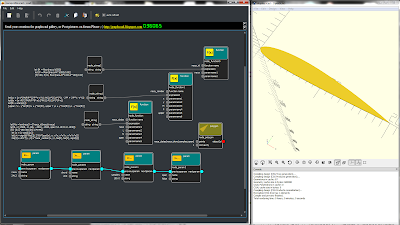 Chris L.T created a new none for multivariable declaration. That's really cool. Feature request done. Will be available in version 1.0.8. 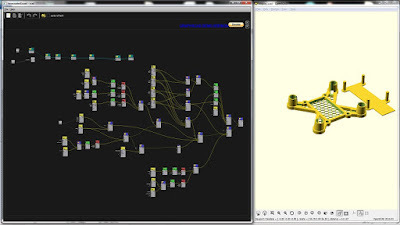 A fast color picker. 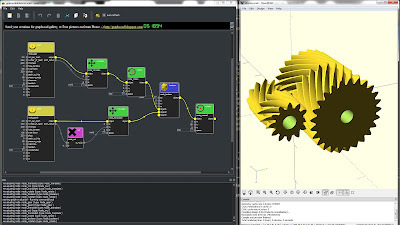 I use famous sphere color with 6 axix color mix and radial grayscale. 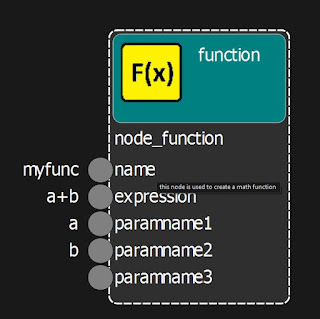 The 'BUG' of 'use<module>' is now fixed. 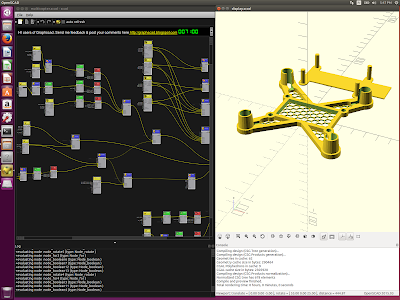 callcall.scad is now working for every version, from graphscad and from openscad. Thx for users suggestions and help. next version will include a new switchcase node. this will be more smart than using a cascade of 'IF'. Hard work to fix bugs. There is an interesting example that show how to use function nodes to generate parametric list of points to draw 2D objects. 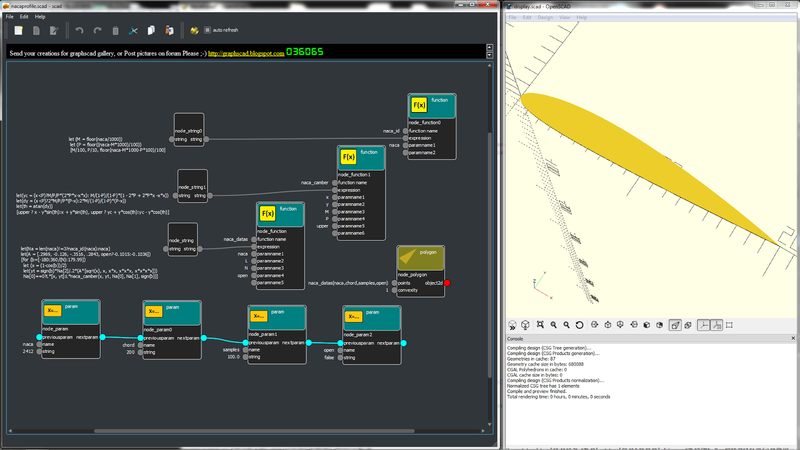 Take a look to nacaprofile.scad and callnacaprofile.scad examples. 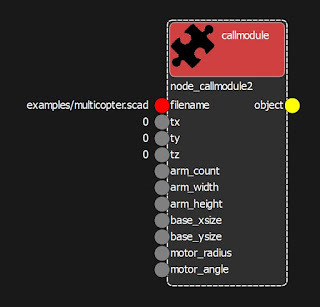 As some module can output some 2D objects, there is a new node called Callmodule2D in this version. 2D nodes are now visible in Openscad without using linear_extrude. There was a very bad bug in v1.0.1. 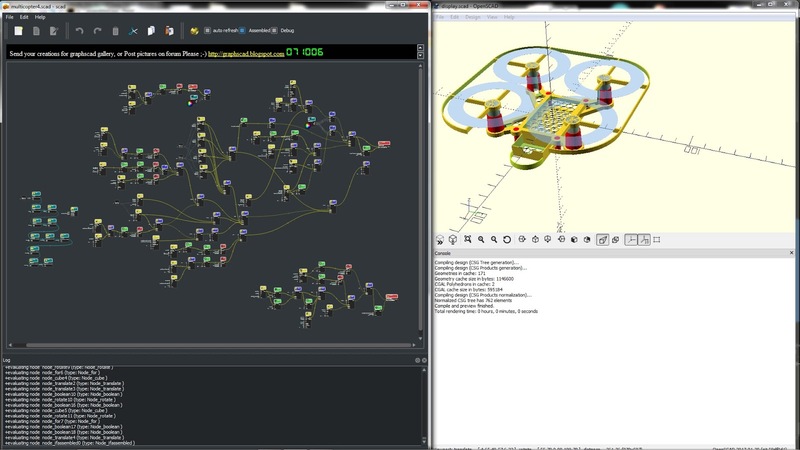 the scene view will not be extended when adding nodes. this is fixed in v1.0.2. Next versions will focus only on bug corrections. - fixed multi refresh during loading. that was very slow. Loading are far most quicker now. 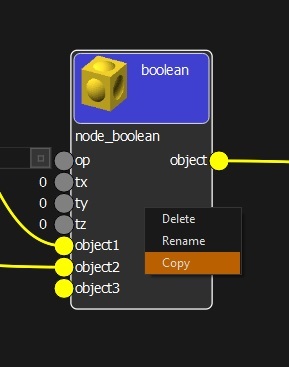 - now scene resizing and scrollbar update is very smart cause it keeps a margin around existing or moving nodes..
V1.0.1 is here with some improvements. I know there are still some problems with undo/redo. - fix a big bug. scad files were saved without openscad code. Hi. This version was compiled and tested with Ubuntu 16.04. GIVE ME FEEDBACK IF YOU GET PROBLEM TO RUN IT. additionnal save format : graphscad can now save files to gscad format and scad format. 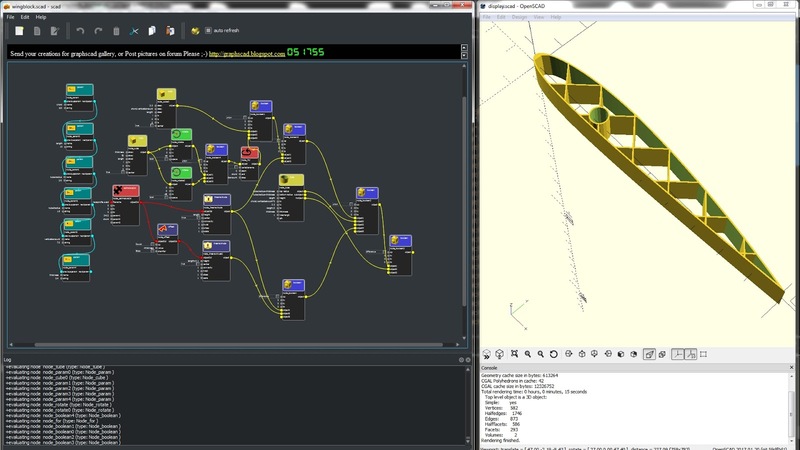 gscad format will only save nodes infos without openscad code. 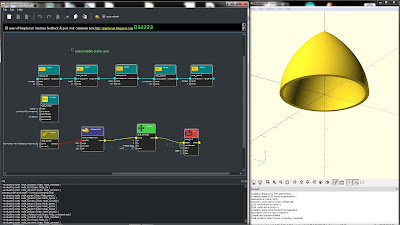 Nothing is changed in scad format that include both nodes info and openscad code. 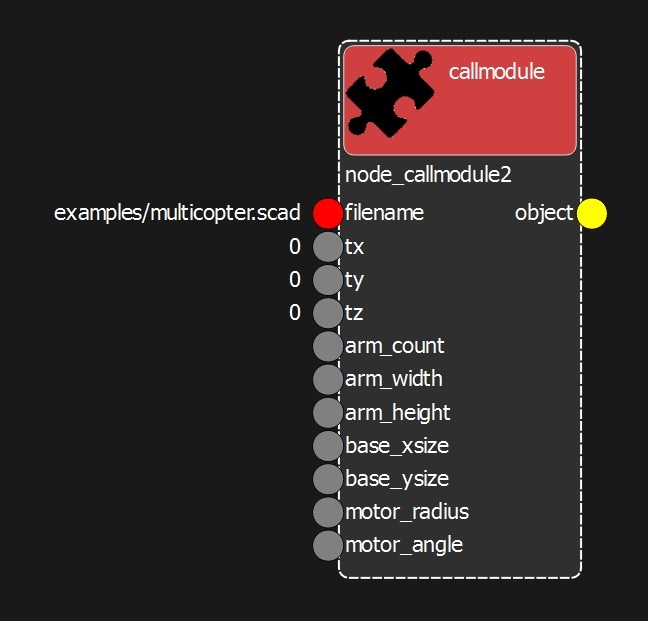 New version 0.0.5 is available with major feature : MODULAR files callable with 'CALLMODULE' node. 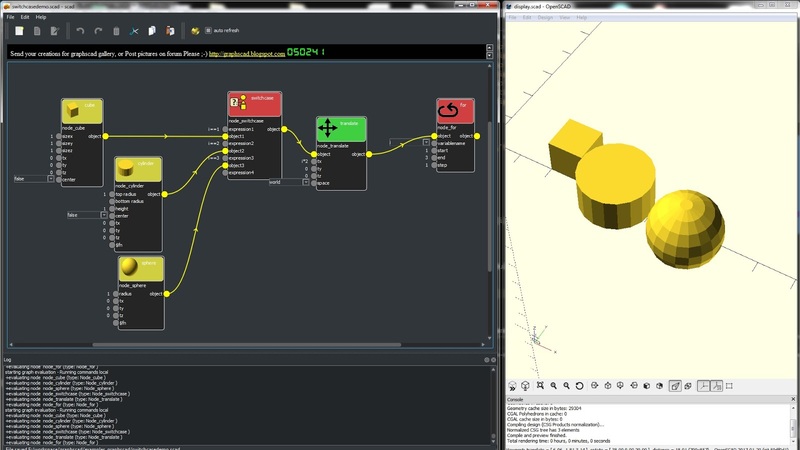 By using node 'PARAM', each graphscad file is now 'MODULAR'. 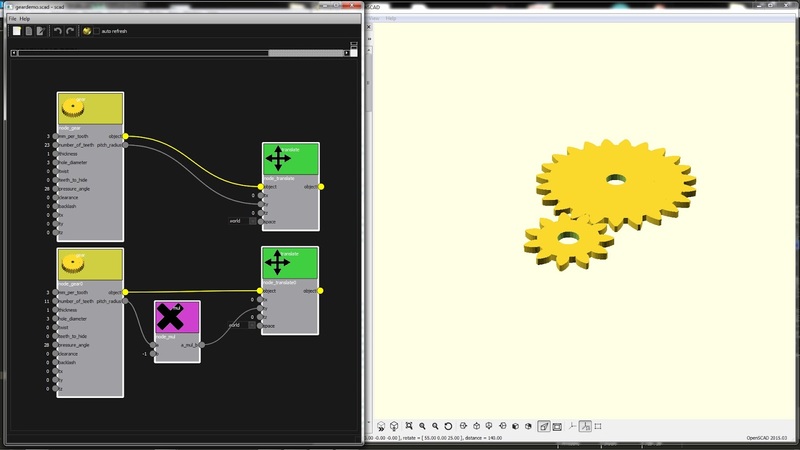 you can create a custom part with parameters, then call this part from another file with node 'CALLMODULE'. Look at examples.This feature will allow to create complex object with multiple scad files. 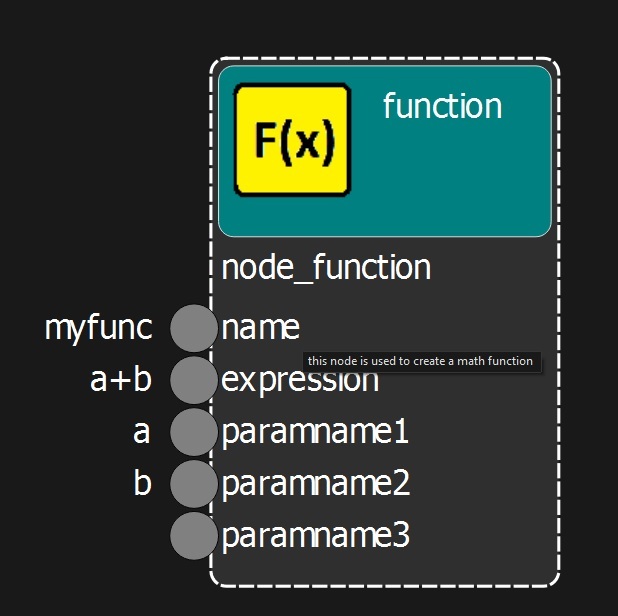 WARNING : Node 'PARAM' is changed. Added the field 'paramname'. 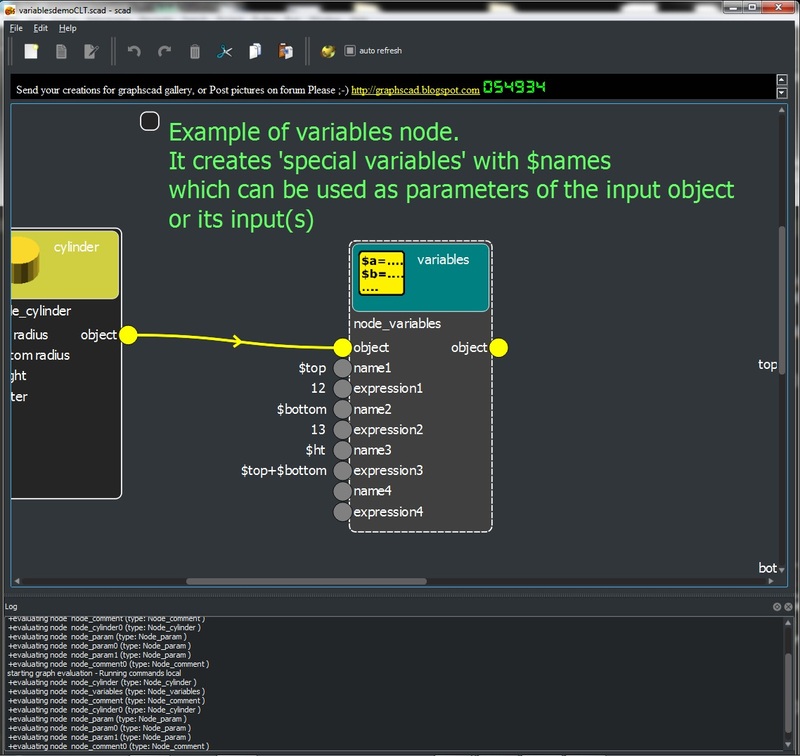 Before, it was using the name of the node (it was not logical). 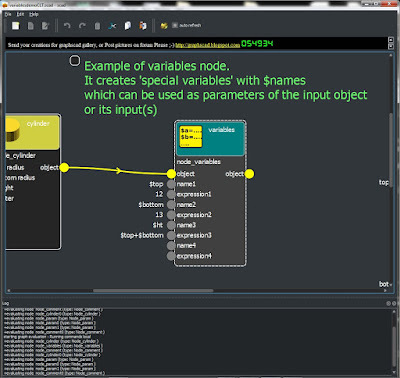 You would have to edit files from previous version if you used 'PARAM' node and edit this new propertie. it's pretty fast to update. As, i'm updating Graphscad frequently (linux version is on the way), consider subscribing to this blog to receive news about graphscad. 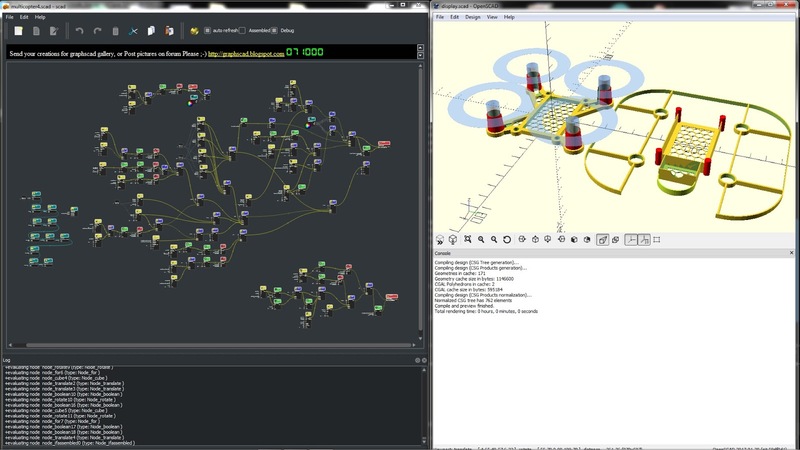 there was a little bug in version 0.0.2 with rick clic to create nodes. Reload version, it should be fixed. 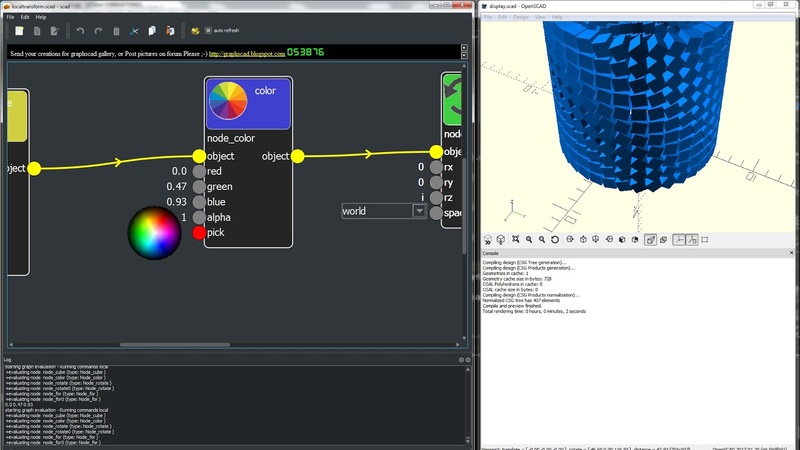 GraphScad is a graphical nodal editor to create Openscad 3D objects. 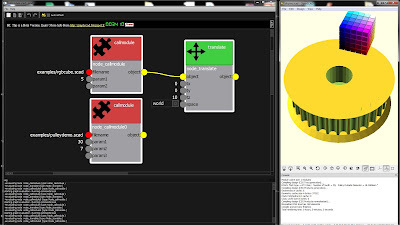 graphscad Editor. Picture Window theme. Powered by Blogger.